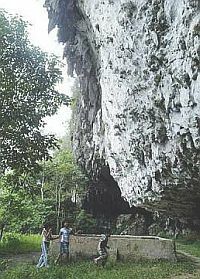 One of the caves namely,Fairy Cave, is located in the Bukit Kapor area. It was formed some 100-150 million years ago. 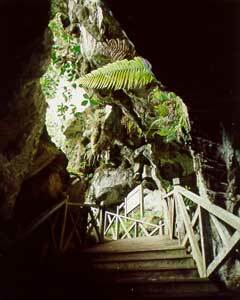 There are stalactite and stalagmite formations on the floor of the caves that resemble figures and animals. A number of shrines and altars were erected in the cave where local Taoist Chinese make offerings to the peculiar formations. This is perhaps how the name "Fairy" Cave arised. Windcave is located at Bau, nearby to Bau town. Its a 115 km drive from Kuching city where you can reach in less than in an hour. 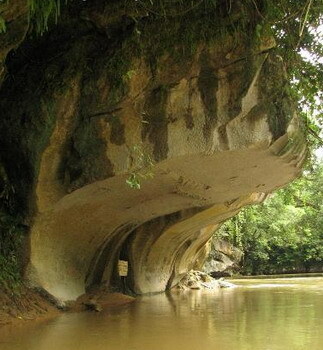 Its another popular local and tourist attraction in Sarawak. As for entrance fee, adult will cost RM3.00 per person and RM1.50 for students/senior citizen/disabled. Children below 6 years old are allowed FREE entrance. Everyone should just visit this windcave at least once in their life. As you walk into the cave, you can hear sounds of water streams flowing through the rocks, and you can also hear water dripping. You can see big stalactite and stalagmite all over the cave. There are also somewat huge uneven holes on top of the cave. Point your flashlight to the ceiling and you can see lots of reflective stuff. Those are BATS! 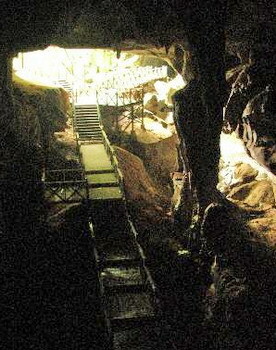 Bats are all over the ceiling of the cave, hidden from daylights.